Floodway will be open within 24 hours. After that, water will hit Butte La Rose within 30 hours, creep into Krotz Springs area within 35. Check out the map below. 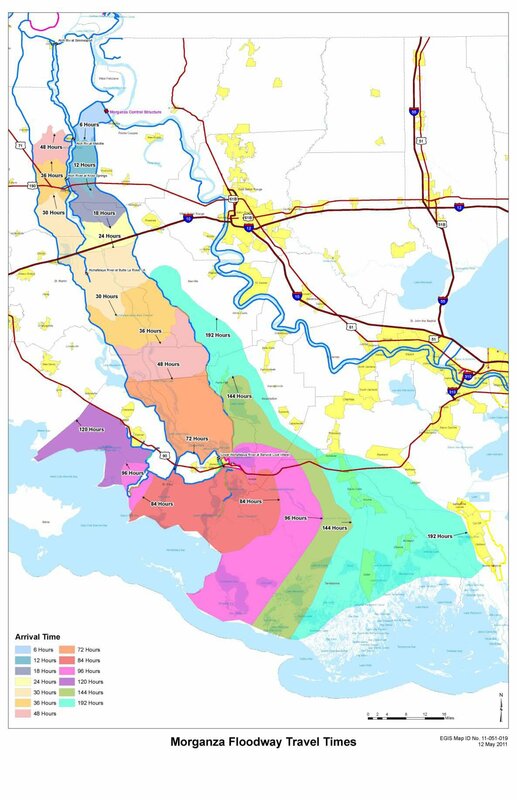 May 13 – The President of the Mississippi River Commission Maj. Gen. Michael J. Walsh has directed the New Orleans District Commander Col. Ed Fleming to be prepared to operate the Morganza Floodway within 24 hours. The operation will include the deliberate and slow opening of the structure. 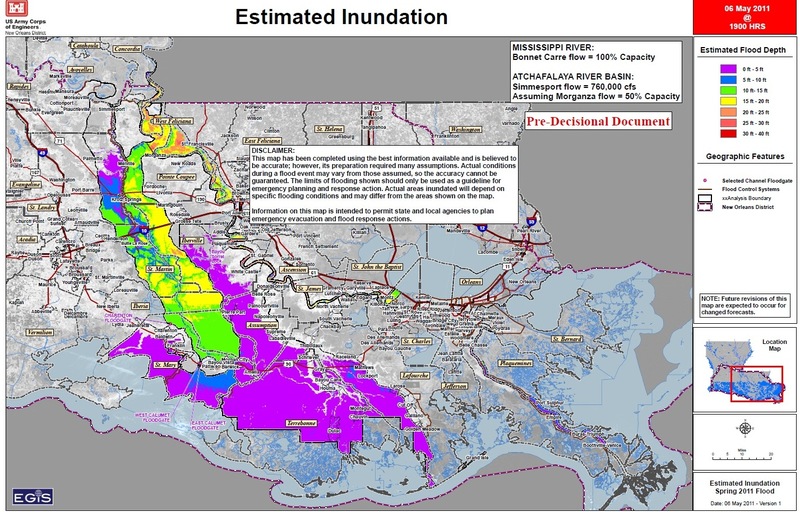 The inundation will spread slowly over several days as attached map shows. If you can’t read this map, go here and scroll down for a bigger version. Or go to the Facebook page, download the map (that link is on lefthand side of screen), then you can increase its size.